ABC's Sunday night broadcast of the Academy Awards drew 32.9 million U.S. viewers, the smallest audience for the Oscars since 2008, according to Nielsen data released by the Walt Disney Co. unit on Monday. This year's audience dropped 4 percent from the 2016 Oscars, which drew 34.4 million viewers. The 2008 Oscars averaged 32 million viewers. Despite the low numbers, the Oscars are still expected to be the most-watched non-sporting event on U.S. television this year. Related: How Did the 'Moonlight' Mixup Happen? 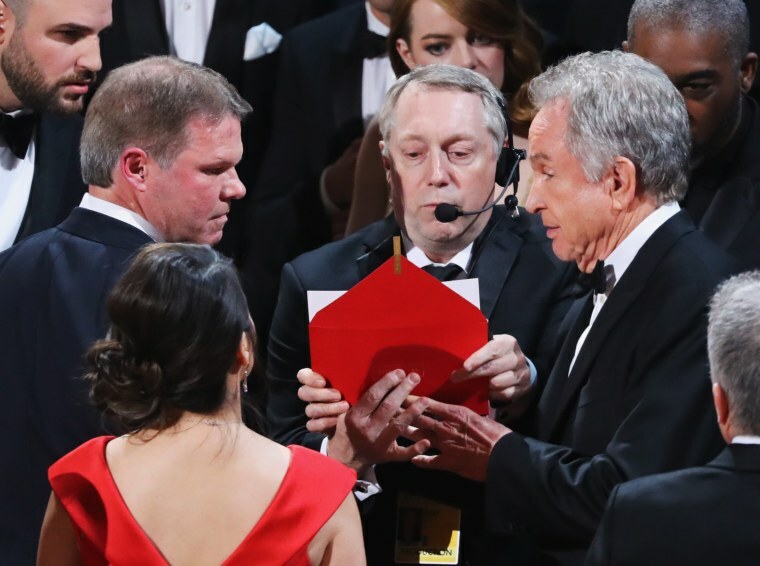 The awards ceremony went a few minutes past midnight on the East Coast and ended in controversy when "La La Land" was mistakenly named best picture winner after presenters were given the wrong envelope. The actual winner, announced minutes later, was "Moonlight."